Dahi Bara is also popular in many other Indian states, where it is known as Dahi Vada. 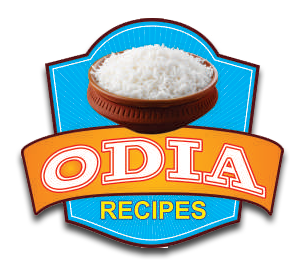 But you would find a finer difference in the way it is prepared in Odisha. This lends a distinct taste to the dish. Wash the black gram dal and soak it in water for 4 to 5 hours (best to soak overnight). Then grind it properly. Add semolina, baking powder and salt and mix well. Leave it for a while. Then heat oil in a frying pan and fry the baras made out of the batter. You have the option either to make the bara in normal shape or with a hole in the middle. For this first wet your palm with water. Take a little of the batter and make a ball. Slightly flatten the same and using your thumb make a hole at the middle as you carefully slip it into the frying pan. After the frying is over put the baras separately. Now heat 3 teaspoon oil in a frying pan. Add cumin seeds, mustard, curry leaves and red chilies and let them splutter. Then add all this to a container containing the curd. Now put the fried baras into this curd. Your dahi bara is ready. Sprinkle the cumins seeds powder and red chili powder before serving. Serve cold. motilalnaik - "I like it"